Whitehaven Wines | MOUSE MARKETING INC. Cheers to award-winning sauvignon blanc and fresh shucked New Zealand oysters for an unforgettable foodie experience. An integrated approach that boosted sales revenue to sell 35x more product. 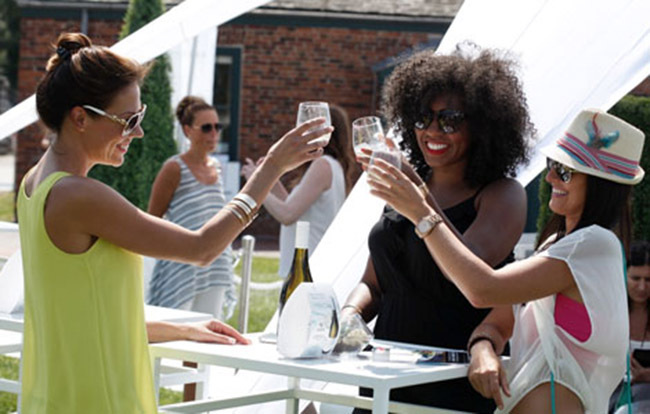 Not only were we the hottest place to sip wine… We gained “first-time” trials by developing new venue partnerships to win category exclusivity at the largest festivals across the country. We build relationships with food partners across Canada to not only provide an enhanced experience for our tasting events but also provide new product listing opportunities that would take the brand to the next level. What set us apart was our outstanding staff greeters, bartenders, and hostesses, the perfect oyster pairings, the incredible lounge space to sit comfortably, and the only ones that gave you a premium branded GoVino reusable glass with every Whitehaven purchase. This is how we Go Beyond Experiential Marketing. A great example of the Taste of Toronto, which showcases the true flavours of the local food scene with our partners from Rodney’s Oyster House.